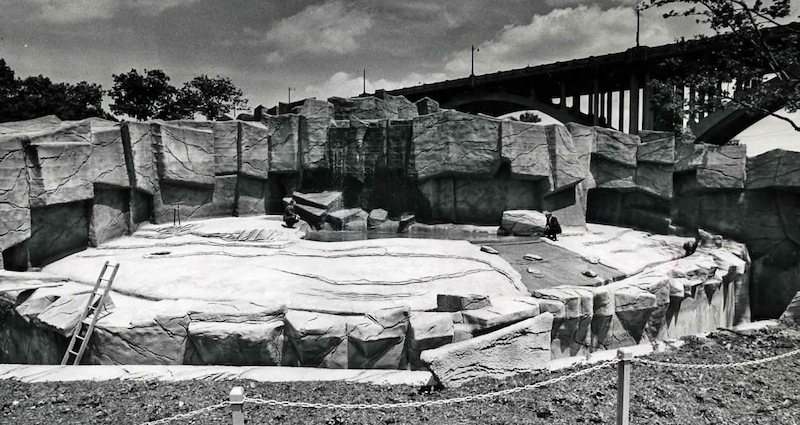 A look at Cleveland Zoological Park exhibits constructed between 1940 and 1960 tells the story of a dramatic change in how American zoological parks were perceived, built and managed over the last century. 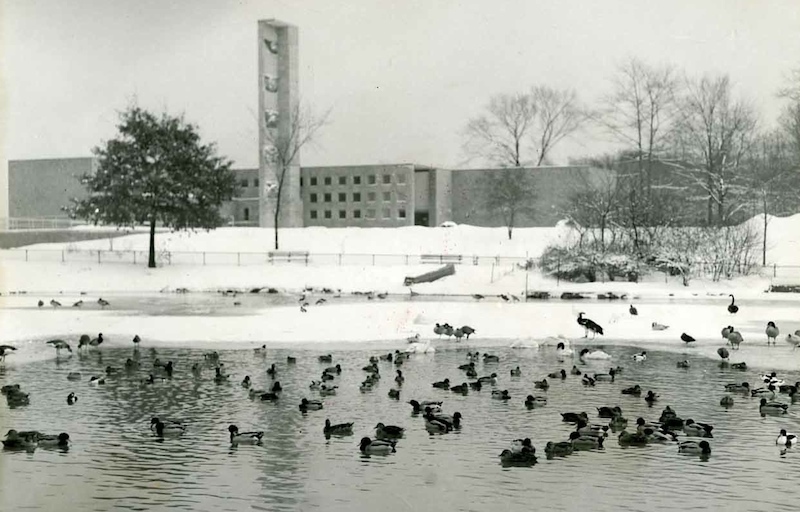 Similar to cities, the landscape of zoological gardens in the United States have witnessed many changes during the last century. 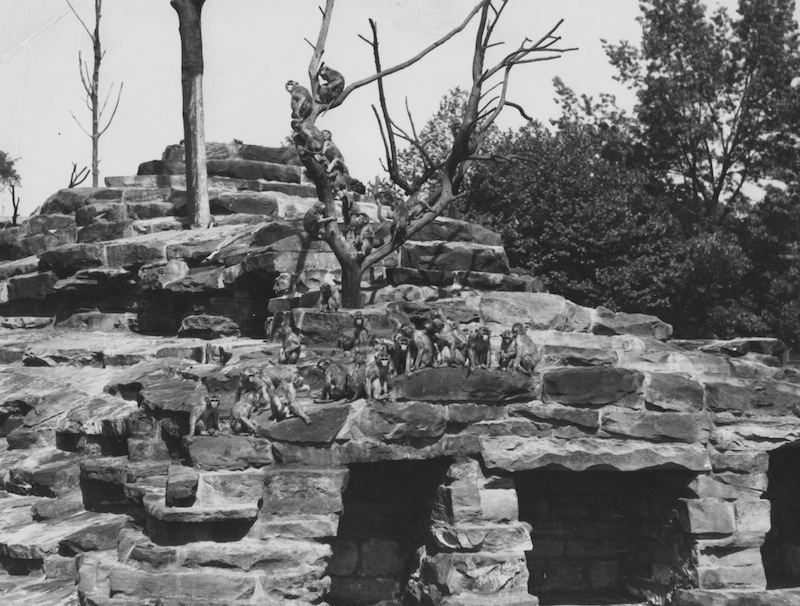 Zoo exhibits in places such as Cleveland have transformed from barred enclosures to intricate replications of natural environments. If you look closely at wildlife exhibitions, it is possible to interpret a little about the history of the era in which they were built. 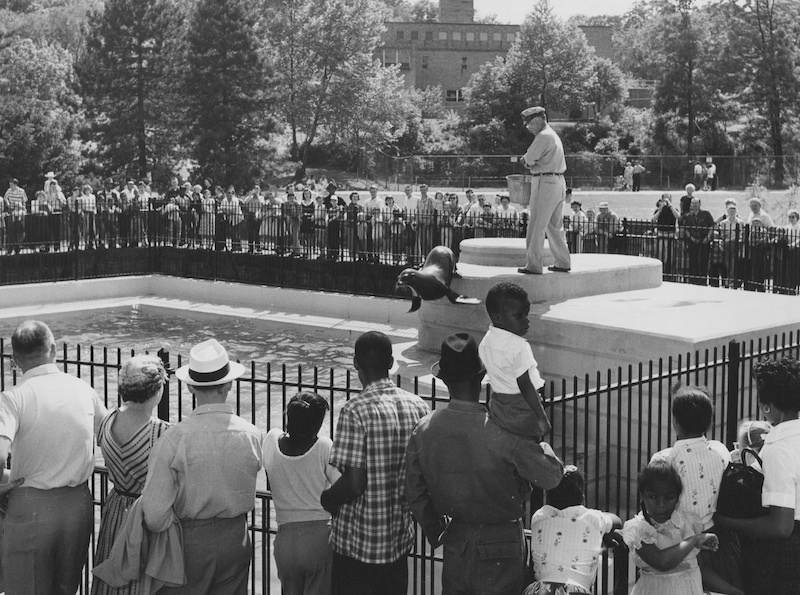 Whether influenced by the Modernism of the 1950s or the environmental movement of the 1960s, the spaces tell us stories about the people who built and visited zoos. 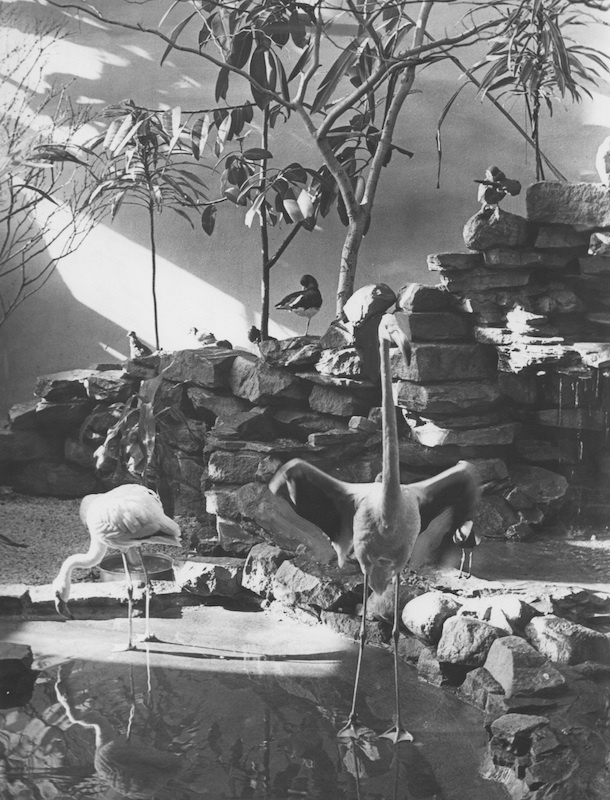 The development and refinement of these spaces was not only vital to the popularity and financial stability of zoos, but was necessary to meet both internal and public standards for providing healthy living conditions that promote positive behavior in animals. 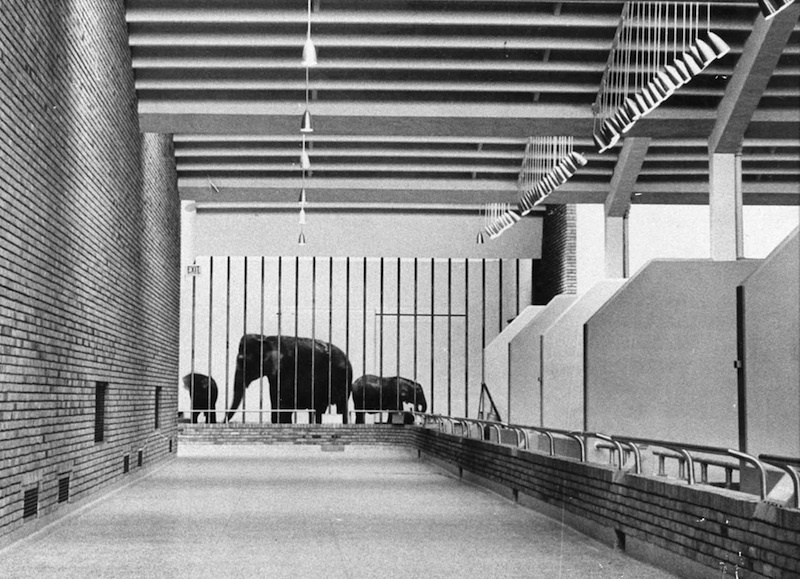 Shaped by public usage as well as innovations in design and administrative methods, animal exhibitions offer a unique form of civic architecture. 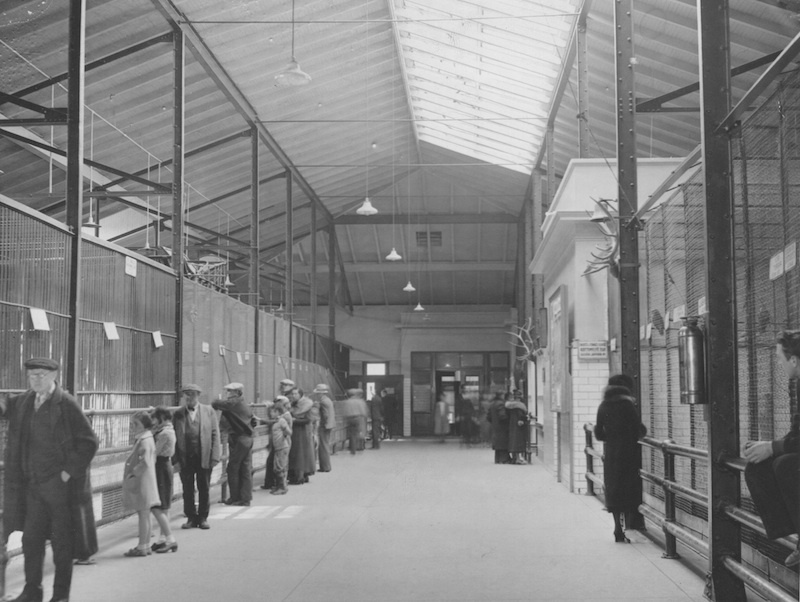 Exhibits were not only built to act as suitable homes for its occupants, but to be appealing, attractive and informative to hordes of spectators. They were designed to inform us about distant lands, animal behaviors, species characteristics or conservation practices. The spaces also reflect the goals and ideals of the zoo administration and staff. 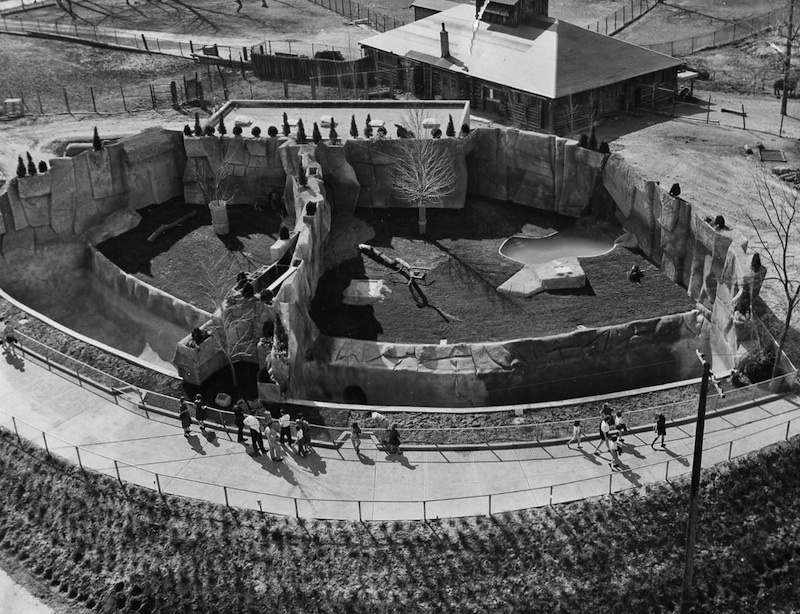 Due to the incredible amount of planning and cost required to develop exhibits, the physical development of zoos in the United States has been slow. Exhibits constructed during different eras exist side by side within the same landscape. Recognizing the changes in design and public usage provides insight into the time periods in which they were constructed. 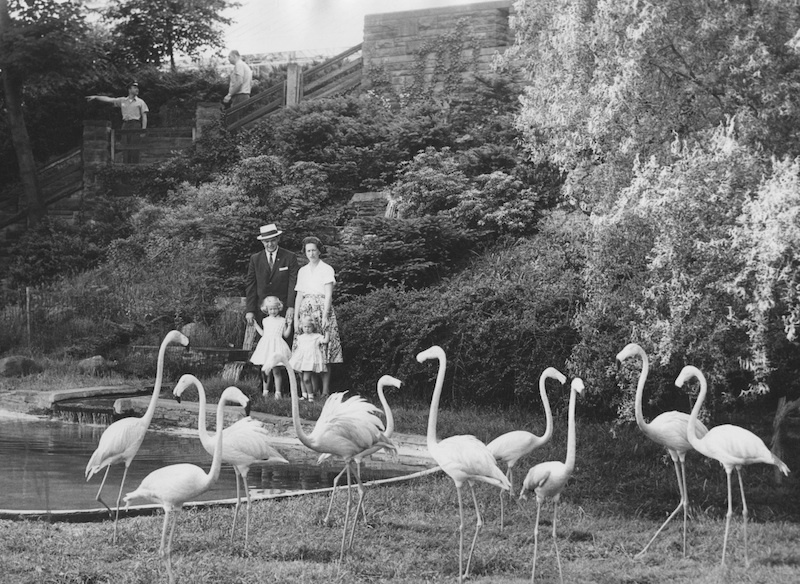 A look at Cleveland Zoological Park exhibits between 1940 and 1960 offers a point of departure to explore how these spaces reflect the history of zoological gardens in the United States. 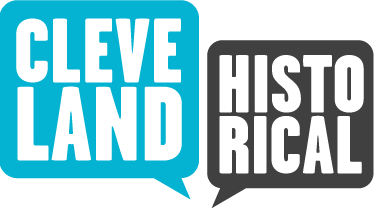 Richard Raponi, “Mid Century Exhibits at the Cleveland Zoo,” Cleveland Historical, accessed April 19, 2019, https://clevelandhistorical.org/items/show/619. Published on Jul 22, 2013. Last updated on Jun 27, 2018.